It’s no secret that Toyota is a generous company. It seems that we hear about a new charitable donation from the Japanese automaker with each passing week. While supporting national organizations is important to Toyota, so is supporting local ones. 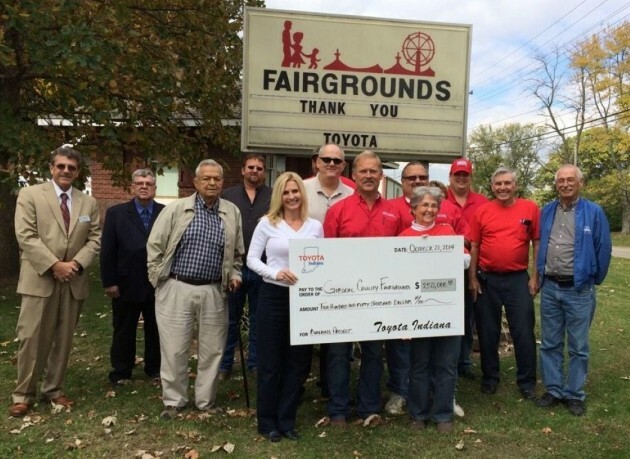 And in the second quarter of 2014, Toyota Indiana grants totaled a whopping $100,000. Toyota’s Indiana plant is responsible for production of the Sequoia, Sienna, Highlander, and Highlander Hybrid. It’s an integral part of its community, providing around 4,700 jobs to residents of Gibson County, Indiana. But it’s also committed to giving back to its community through a variety of programs and grants. In Q2 of 2014, a total of 39 organizations received funding from the plant, totaling $100,000. The programs in question include Dubois County Soil and Water Conservation, Gibson County Horticultural Society, Habitat for Humanity, and First Youth. Toyota Indiana chooses to focus mainly on organizations that provide support and services for youth, education, safety, and environment. One such project supported by the plant is a rain garden project via the Dubois County Soil and Water Conservation District. Since its establishment in 1996, Toyota Indiana grants have totaled an incredible $20 million—a number which is expected to continue growing as the plant maintains its steady growth in the coming years.